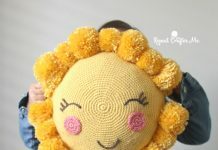 WhatThis week, I set myself the challenge to learn how to crochet. It seemed like a fun manual activity. Learning new skills can be an amusing way to challenge yourself. Plus, it can give really cute results. 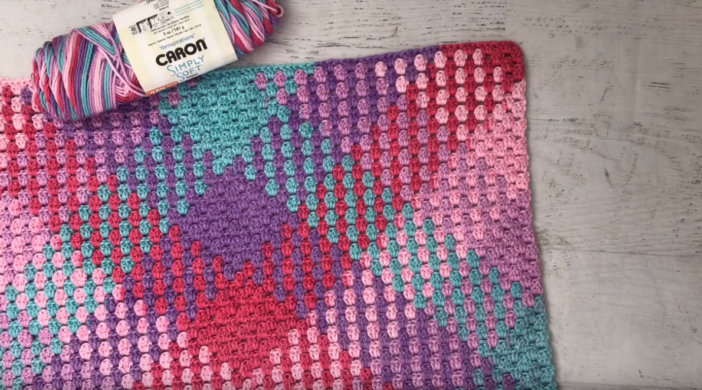 While this idea had been floating around in my mind for some time, I never set my mind to actually learn to crochet before I saw on Pinterest all the cute things I could make. There were so much possibilities! As it turned out, making these projects will be a more long-term project than anticipated. However, as of today, I have learned the most basic skill used in crochet: how to chain. It’s a good start! 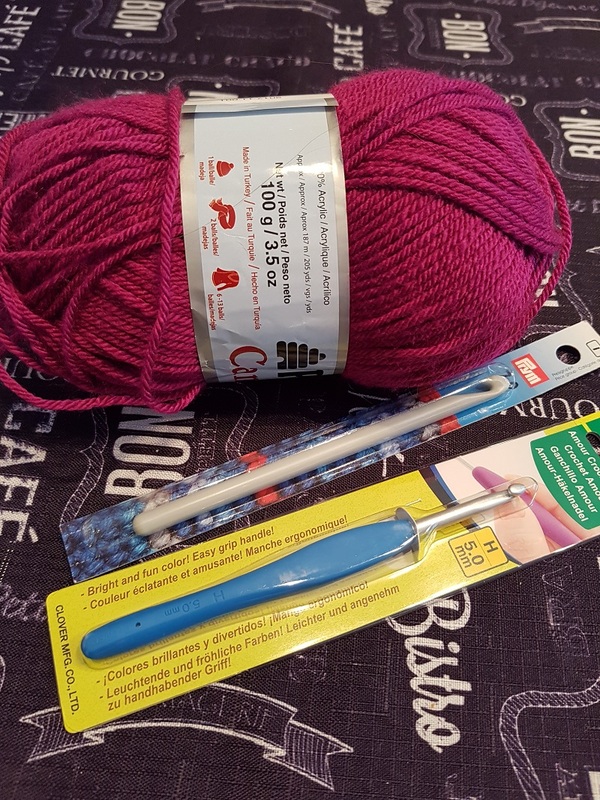 I shopped for my hook and yarn a bit blindly. In the end, not knowing exactly what I would need, I bought two crochet hooks of different sizes. One cost 3$ (in the picture below: the gray one, 7mm) and the other 6$ (the blue one, 5mm). I now know it can be a good idea to start by buying a set of hooks of different sizes. However, there wasn’t any at the store I went to (a standard art supplies store). Oh well, maybe next time. For the yarn, I picked 100% acrylic wool weight medium (4). It wasn’t too big, the color was a beautiful shade of magenta (Dark orchid from Patons Canadiana) and it was soft. What more could I ask for? I have now been told it’s a good idea to start with 100% acrylic wool in a uniform color, preferably lighter than darker. It will help you see what you are doing. Reluctant to waste my pretty wool on some potentially disastrous first attempts, I started by using some unidentified wool I had at my house, a leftover from a pom poms garland I once made. It’s acrylic too. 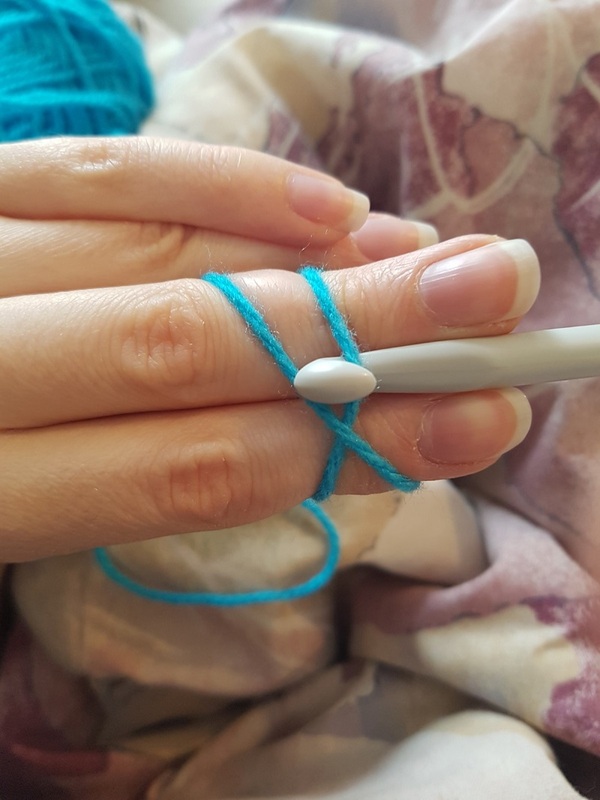 How to choose the size of your crochet hook? The hook size you use can have a big impact on your project. 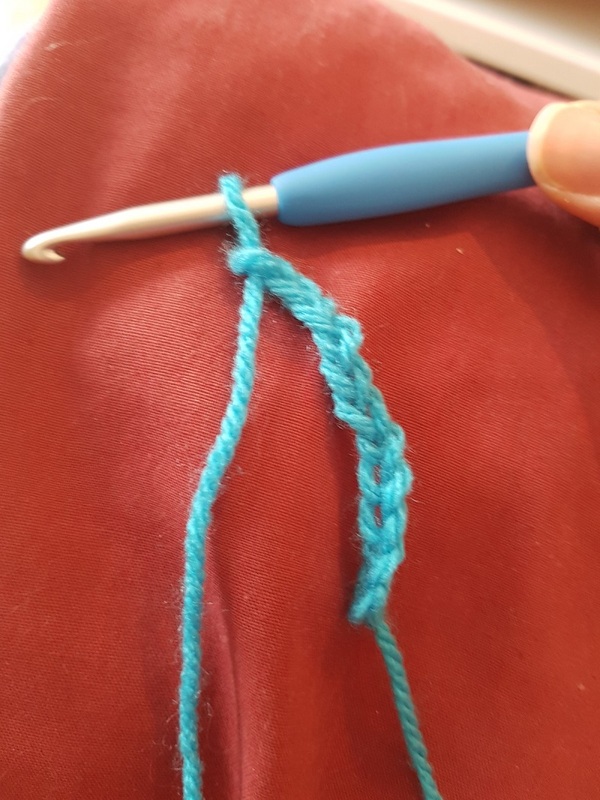 If you use a hook that is too big for your wool weight, your stitches will be too loose. They will be too tight if your hook is too small. If you are following a pattern, there will usually be a hook size recommended for that project. If not, you can look at your yarn. On the label, you can find the hook size recommended for it. If you can’t find this information on the label, there are a lot of helpful charts out there. Usually, it is recommended to start with a 5mm hook for beginners. Looking at my result, I knew there was something I wasn’t doing correctly. In the video, the chain is made of perfect V shapes and my chain looked more like a braid. Since there was something like a third threat ruining my chain, I suspected I was turning it in an erroneous way when it came to hooking the yarn and bringing it through the hoop. After starting over a couple of times (Five! ), I still had the same problem. Luckily, I found a video that helped me do a chain with a V shape. The following video goes much faster than the previous one (which isn’t always helpful). However, the way this girl hold her yarn and hook really worked for me. 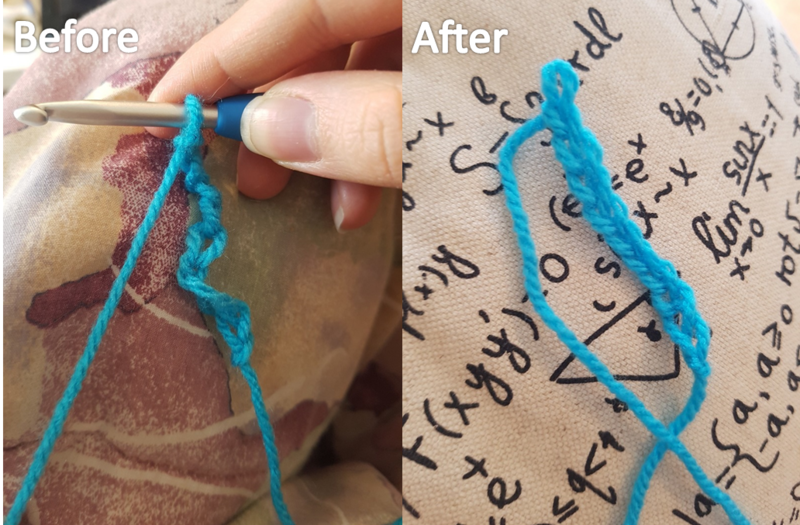 If you are attempting crochet and are a bit discouraged at the results, here’s a picture of my first and sixth attempt at doing a chain. It’s visual proof that it gets better. Now that I know how to do a slip knot and a chain, I will practice a bit more. I will keep you posted on my progress. 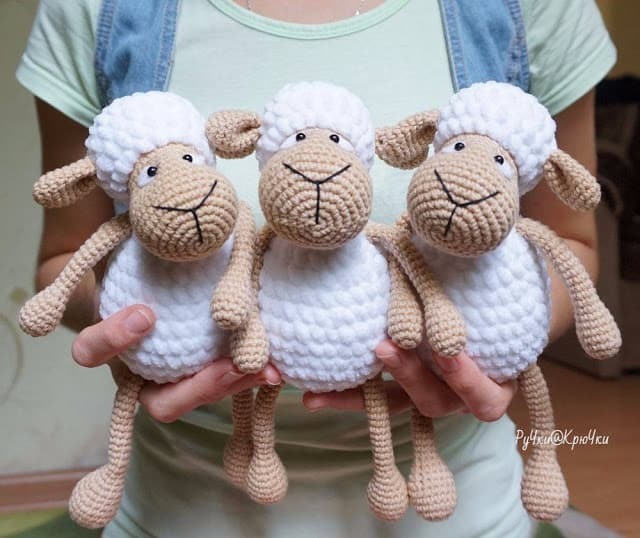 Don’t be shy to share your own experience if you try to crochet as well! My name is Isabelle (Zaza for the few people who knew me way back then). I am writing to you from my pink office in Montréal, Québec. As a French literature graduate, I soon realized that teaching was not for me and I am now working in an office. I love mountains, trees, soup, and books. In recent years, my passion for food grew bigger and bigger. As a result, I am now going out of my comfort zone in the kitchen and trying to be more adventurous. I invite you to follow me on my journey to learn new techniques, conquer desserts and find exquisite recipes. 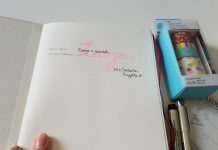 Along the way, I plan to share what excites me, may it be a newly discovered restaurant, book, artist or Etsy find.